Liubov Popova, the “artist-constructor” as her contemporaries called her, was one of the main champions of abstract art in Russia and one of the most prominent members of the Russian avant-garde of the early twentieth century. Popova studied under the Impressionist painter Stanlislav Zhukovski and at the school of Konstantin Yuon and Ivan Dudin. Between 1909 and 1916 she travelled around Italy and France and visited Samarkand. While in Paris she studied with the Cubists Jean Metzinger and Henri Le Fauconnier at La Palette and in 1913 she worked in Tatlin’s studio in Moscow. During her trip to Italy in 1914 she became exposed to Futurism and her work began to show its influence, in combination with certain aspects taken from Cubism. On returning to Russia she took part in the Jack of Diamonds exhibition and in 1915 she was involved in the Futurist shows Tramway V and 0.10. 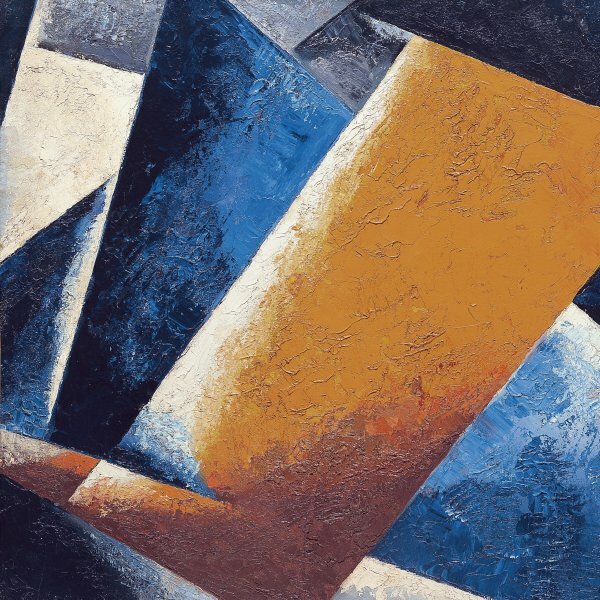 The Last Futurist Exhibition of Paintings, both held in Petrograd (now Saint Petersburg) and in which her work was shown alongside that of Kazimir Malevich and Vladimir Tatlin, among others. 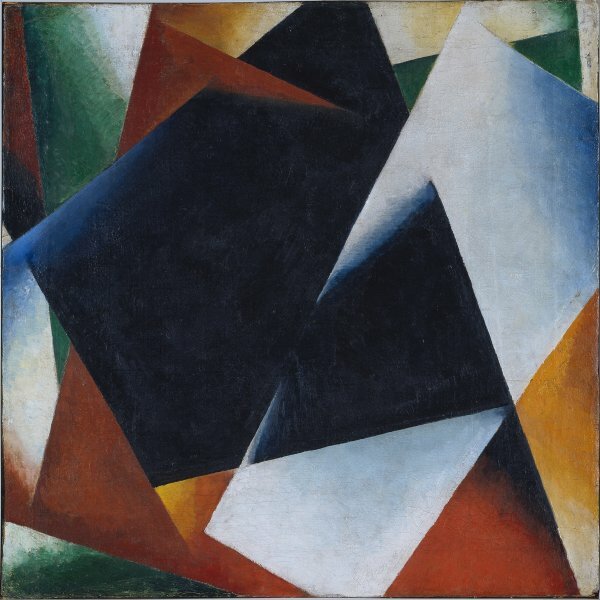 Under the influence of Malevich’s Suprematism, in 1916 she began a series of non-objective paintings which she called Painterly Architectonics, in which she started to explore the possibilities of an abstract vocabulary. After the Revolution Popova became actively involved in numerous political activities and taught art at various institutions. In 1918 she joined the Left- Wing Federation of the Moscow artists’ union and in 1920 became a member of the Institute of Artistic Culture (Inkhuk), then run by Wassily Kandinsky. At the end of 1921 she and another twenty-five artists of the Inkhuk rejected easel painting and advertised the need for artists to concentrate of creating utilitarian art. As a result, from 1922 onwards she devoted herself to textile and graphic design and theatre sets. Her early death cut short her intense, creative career as an artist.